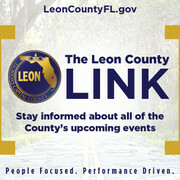 FAMU students made their best impression to potential employers. Solazia Brown’s intentions were clear the moment she walked into the Lawson Center. “I want to least leave here with an interview in the hopes of gaining an internship,” said Brown, a freshman business administration student at FAMU. Brown and several others showed up at a recent career expo with the same aspirations. 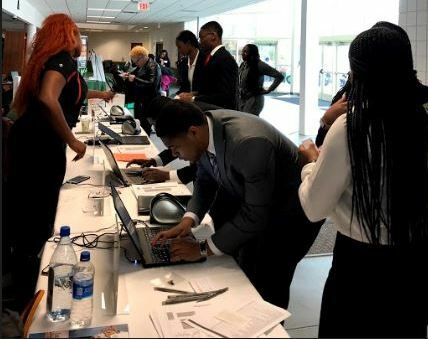 Seniors showed up at the event staged by FAMU’s Career Center with hopes finding jobs. They came dressed in suits and tie, dresses and other business attire. Many had resumes in hand, too. They wanted to impress the more than 100 companies that showed up to hear their qualification for employment or an internship. In order to make the kind of impression that will help their cause, students spent weeks preparing, much like they do for an exam. Some turned to the Career Center to help with their prep. Then, there are essentials such at knowing just what a company might be looking for, said Evens Orrvil, a fourth year business administration major from Palmetto Beach. For several years now, it has become imperative for college students start their job search as early as they could. Studies have shown that 40 percent of college graduates are forced to take positions immediately after graduation that don’t require a degree. The study also found that 1 in 5 college grads could spend as many as 10 years working a degree-demanding job after leaving school. Another realization for job-seeking students is companies often require work experience as part of their hiring policies. That’s something that Tonya Baskerville, a FAMU alum who works as a pharmaceutical sales representative, can attest to. “My internships gave me the work experience before graduating,” said Baskerville, who hired four students for internships. “Having an internship taught me what I wanted to do. In addition to proving potential job opportunities for students, the Career Center puts on the expos each semester to help students network, said coordinator Jessica Lumpkin. Lumpkin, employer relations and development coordinator for the center, said it’s a painstaking event. “Every little detail down to the background music that is playing is important,” she said.